Below are some frequently asked questions about the art of Aikido as well as questions specifically about Aikido of Madison. If your question isn’t answered below or if you would like more information about our dojo, feel free to contact us any time. Will I learn to strike and/or kick in Aikido? In Aikido, strikes to anatomical weak points (atemi) are sometimes employed as a means of disrupting or distracting the attacker. We don’t offer free lessons, but you can watch as many classes as you like before you decide to join. We do require you to watch classes at least once and that you pay for one month of training before you get on the mat. You can watch any scheduled class and there is no need to call ahead. Just come in the front door, have a seat and someone will come over to see if you have any questions. I’m interested in beginning Aikido. What’s the best way for me to start? 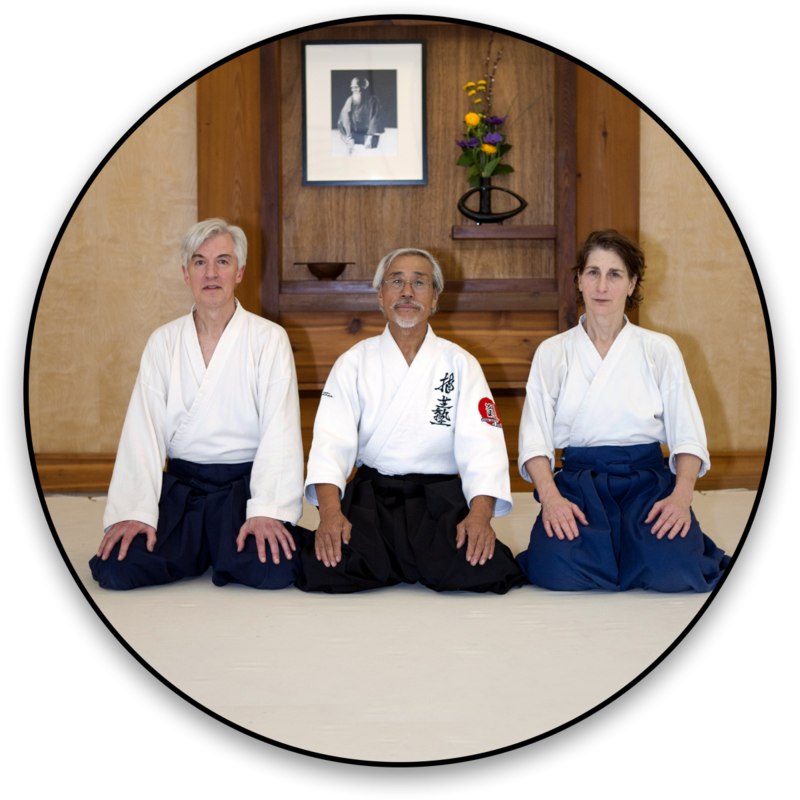 Please click here to read about joining Aikido of Madison. At what age can my child begin Aikido? We don’t usually let children start practicing until they are 6 years old. Occasionally, though, we do allow 5-year olds to start if they are advanced for the age (i.e., able to pay attention and follow instructions reasonably well). What are the fees to train at Aikido of Madison? Please click on this link to view the membership fees. I hear that dojos have rules or etiquette. Where can I read the AOM rules of dojo etiquette? Aikido of Madison, like other dojos, has general rules of dojo etiquette. Click here to read our rules of dojo etiquette. Is Aikido effective for self defense situations? Yes, Aikido can be quite effective for self defense. In fact, Aikido or Aikido-like techniques are often taught to police in self-defense classes. But at the same time, self defense is not the primary emphasis in Aikido training. Aikido is primarly an art in which we learn a way of dealing flexibly and appropriately with any conflict situation you find yourself in, be it at home, at work, or in a bar. As such, it is intended to be something that you can pursue for your entire life, if you choose to do so. Can older people practice Aikido? There really is no upper age limit in Aikido. As long as you’re healthy enough for exercise, you can practice Aikido. You will, of course, need to adjust your training to your own physical limitations and we at Aikido of Madison do everything we can to support you in doing that. I feel I'm ready for the intermediate/advanced class. What are the requirements? Students who are 5th kyu and above, or have instructor approval, are welcome to train during intermediate/advanced classes.